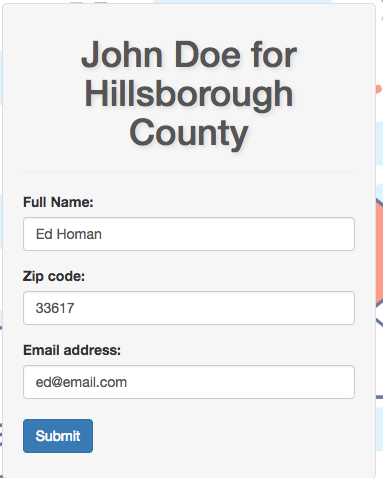 Signup forms allow you to collect contact information from interested website visitors. Unlike other services' signup forms, webElect interactively links the submitted info with the visitor's voter record allowing you to utiilize this info much more effectively. webElect can also push these signups directly to a linked email service provider for easily administering email campaigns. 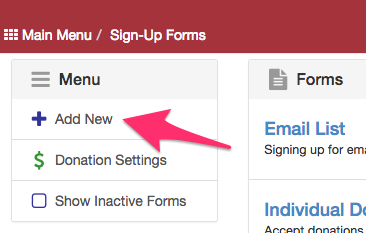 1) Click the Signup/Donate Forms link on the Main Menu of the new interface. 3) Complete the setup form populating the Form Name and Descrption. 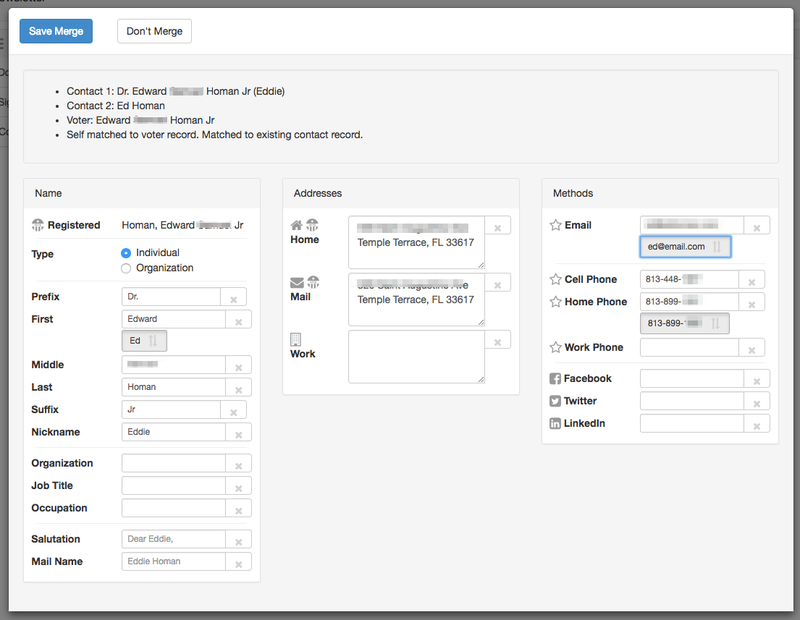 The default values are the recommended settings to keep your signup forms as short as possible while still giving the ability to link most visitors to their voter record. Tips are displayed for each field to explain your options. If you have linked a tag to an Email Service Provider and add the tag to the sign-up form, any sign-ups will be pushed to the linked ESP list as well. 4) Once saved, you will be able to copy and paste the Embed Code into your website and style to fit your site's theme using CSS. 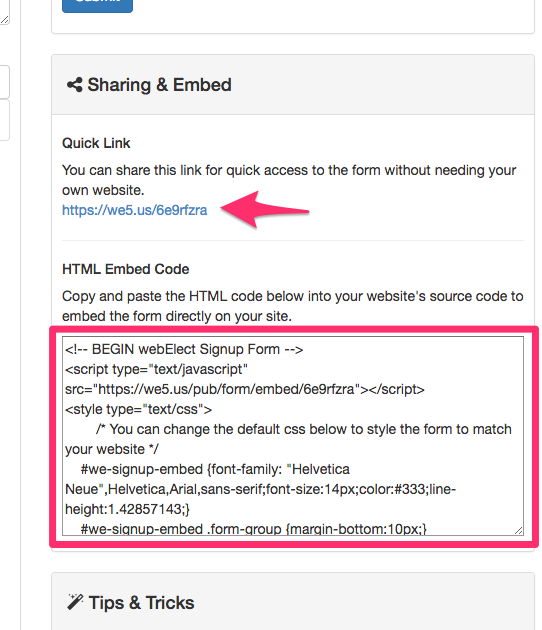 You may also use the Quick Link to send visitors to a hosted form for an easy way to make your form accessible. Their name and zip code are checked and list of possible matches presented. 6) The Signup Forms listing shows the number of signups awaiting review (gold) and the number accepted (green). We can see our new submission. 8) A simple push of the button will accept or reject the signup. However, in cases where you already have custom contact info for a signup, you are presented with a match screen to choose which information to keep for any fields that are conflicting. 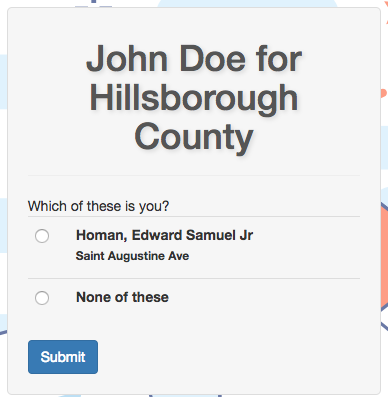 Create multiple signup forms to collect voters that identify with various issues that you have sections/pages for on your website. 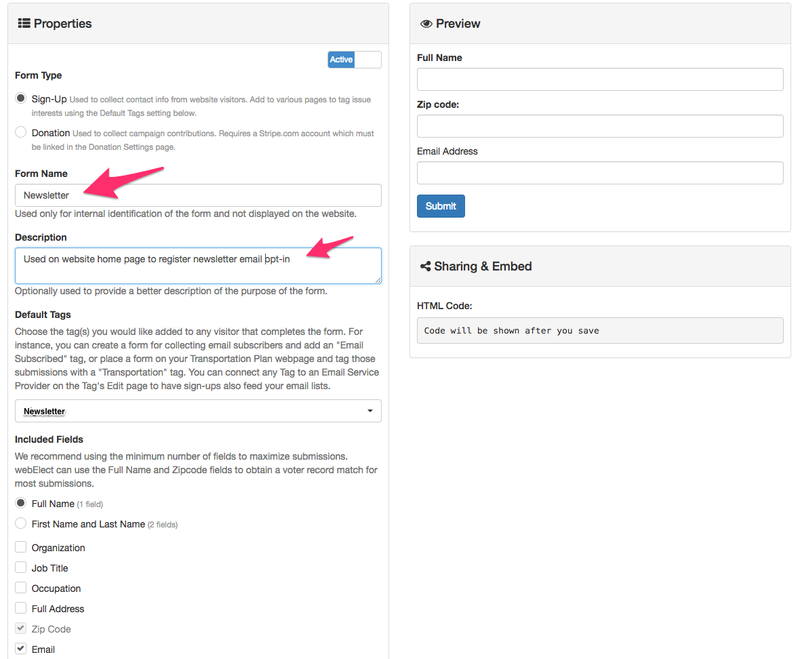 Assign the corresponding tag as the Default Tag to the form so all signups on that form get the issue tag. Create a single form and add multiple group/tags to it for a simple survey.